Sar underwent a laparoscopic anterior resection for localized rectal cancer in April 2008. Four of 15 nodes were infected with cancer. Histopathology report confirmed a moderately differentiated adenocarcinoma – pT2N2. Sar did not receive any chemotherapy after the surgery. About a year later, in June 2009, during a follow-up, the doctor detected her CEA was rising. Further investigation showed the cancer had spread to her lungs. Sar underwent chemotherapy. The regimen used was Xelox-Avastin (Capecitabine or XELODA +Oxaliplatin + Bevacizumab or AVASTIN). Sar received 6 cycles of this treatment. According to her doctor, the treatment helped stablised her disease. Unfortunately, such “fortune” did not last long. In less than a year, the cancer showed progression. In January 2010, Sar underwent more chemotherapy. This time the regimen used was FOLFIRI + Avastin (Irinotecan + 5-FU + Lecovorin + Bevacizumab). She received a total of 8 cycles of this chemo. Again, according to her doctor, the treatment stablised her disease. But the doctor also suggested another new drug, Cetuximab (or Erbitux) to be added to the treatment regimen. But Sar could not afford the extraordinary high cost of this drug. FOLFIRI + Avastin did not help Sar. The cancer continued to progress. In October 2010, a clinical trial comparing Cetuximab (or Erbitux) and panitumumab (or Vectibix) opened at Johns Hopkins Singapore. Sar participated in this trial from November 2010 to June 2011. She received a total of 13 cycles of the treatment at Johns Hopkins. Sar had initial response. But that turned out to be meaningless because later the cancer started to progress. Sar was asked to undergo more chemotherapy. On 29 July 2011, she and her two daughters came to seek our help. We prescribed her some herbs for her colon and lung. Unfortunately we do not get to see them again after this. It is indeed sad to hear such a story. Patients and their family went to the “best” for their medical treatment but the “best” failed them. But such a story is not an exceptional story – or is it a norm that happens most of the time? The conclusion is yours to make. What saddened me most when dealing with cancer patients is their “lack of knowledge.” We can understand if patients are illiterate and therefore have to depend entirely on others – the “experts” to help them deal with their problems. But if you are able to read what I am writing now – then it would be most unfortunate indeed if you still choose to remain “uneducated”, ignorant or “blind”. Let me pose some questions for you to ponder on. Her daughter wrote, “We decided to bring mom to Singapore to get the best possible treatment.” The patient received the best treatments alright – and the most expensive treatment as well? But what about the outcome? Did she get the best outcome? Do you still believe that money can “buy” the cure for cancer? I am reminded of what I wrote in the website earlier. Click this link, https://cancercaremalaysia.com/2010/11/20/the-world%E2%80%99s-most-well-fought-battle-against-colon-cancer/ and you can read about the case of Tony Snow. I gave that article the title – the World’s most well fought battle… Why? This is because the man involved in this battle against colon cancer, Tony Snow, used to walk along the corridor of power in the most powerful political office on earth. He lost his battle against colon cancer and died. Did he not get the best – the best doctors, the best hospital and the “best” support from the most powerful man on earth? Why did he die? And if you have time, browse through the same website and learn for yourself why many patients who did not get the “best” still survive their colon cancer. Did it ever occur to you that before you undergo invasive treatment such as surgery, chemotherapy or radiotherapy that you should ask your doctors if these treatments would cure you cancer? Most people don’t ask – they assume that since they get the best, the treatment outcomes would also be the “best”. I always remind patients – ask what the chances of you getting a “cure” are before you undergo any treatment. If you want make sure that you speak the same language like your doctor. Cure means getting rid of your cancer altogether, not just “remission” or buying of time. If the “expert” you are dealing with do not give you a clear cut convincing answer, you might want to seek a second or third opinion from different sources. Weight out the pros and cons before you decide on the path to take. In this case, Sar was given 6 cycles of Xelox-Avastin. Did it ever occur to you to check with reliable sources what these drugs can or cannot do for patients with lung metastases? 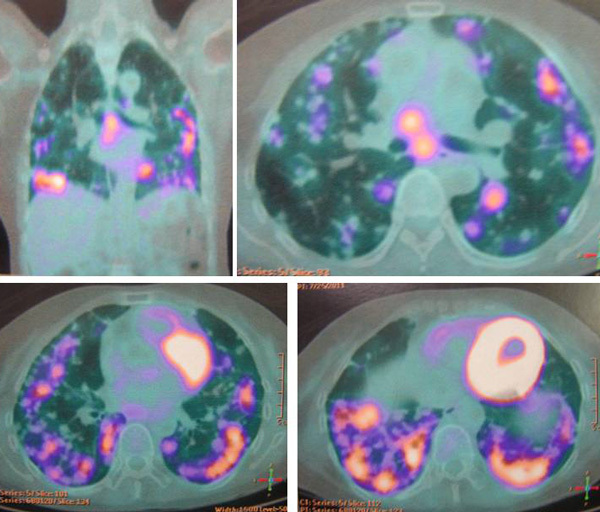 Does Avastin ever cure lung metastasis? How effective is the Xelox regimen for metastatic colon cancer? You can get all these answers if you spend enough time at your computer. Or do you prefer to remain blind and ignorant. For some the easy way out is to be ignorant – after all this is what they often say, ignorance is bliss. If you have some money to spare, why not get some books and read. Take for example this one, https://cancercaremalaysia.com/2011/09/02/book-review-money-driven-medicine-%E2%80%93-chemotherapy-for-non-responsive-cancers-%E2%80%93-denying-reality/. Read what the author, a medical doctor said about chemotherapy for colon cancer. Avastin seems to be popular. And it is also expensive. Exclusive and expensive stuff must be good, right? If you read this article, https://cancercaremalaysia.com/2011/12/27/utero-ovary-lungs-cancer-part-1-she-almost-died-after-spending-two-billion-rupiahs-on-chemotherapy-in-singapore/ you will learn that a cycle of Avastin plus another drug cost about S$12,000. But is Avastin effective for cancer? You judge for yourself. From the internet, information on the effectiveness of Avastin and other expensive chemo-drugs are readily available. To get you started, just click the links below. From there, I wish you a happy journey – go, read more! Let me end by asking you if you can learn anything from another colon cancer case – a Singaporean lady? https://cancercaremalaysia.com/2011/09/15/colon-cancer-oncologist-said-chemotherapy-would-not-cure-her-or-make-any-difference-%E2%80%93but-cea-declined-after-herbs/.